Leather is a durable material used to make pants, jackets and even furniture. Because leather is made from the tanning of animal skins, it often has a strong odor. Of course, your leather can smell for several other reasons. For example, cigarette smoke will stick to any material in its path and cause it to stink. Whatever is causing your leather to smell, you can clean it and eliminate the nasty odor. 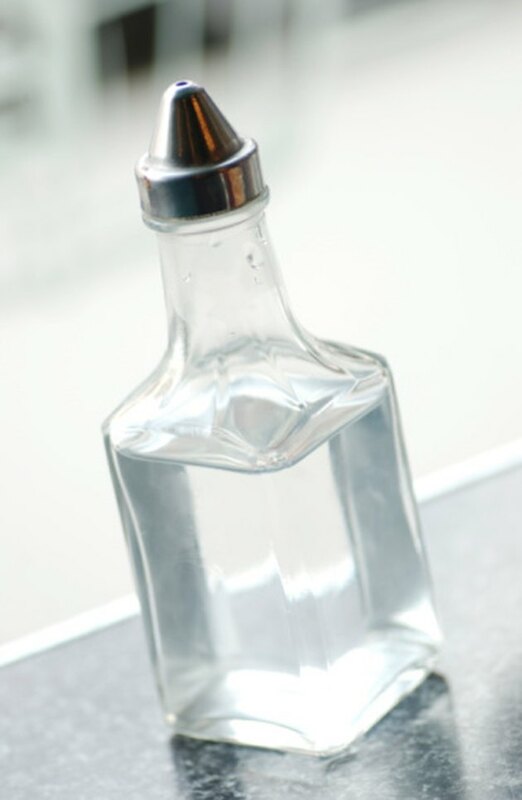 Distilled vinegar is a great odor eliminator. Take your leather item outside to get some fresh air. This will not be possible with a large sofa, but many smaller leather items will benefit from a breeze of fresh air. Just make sure you do not leave the leather item in direct sunlight. The sun can fade the color of the leather. Place three drops of dish detergent in a small bucket. Add 1 qt. of warm water. Wipe down your leather with this cleaning solution using a sponge. This will remove any buildup on the leather that may be causing the foul odor. Go over the leather with a fresh sponge that only contains water. This will remove any soap residue that remained after you cleaned the leather. Wash your leather one final time if it continues to smell. This time mix 1 cup of vinegar and 2 cups of food grade linseed oil. Vinegar is an excellent odor eliminator. The linseed oil reconditions the leather to keep it looking like new. Apply the vinegar and linseed oil mixture with a lint-free cloth. Let it remain on the leather for 12 hours. Wipe down the leather with a clean, dry lint-free cloth after the 12 hours have passed. Your leather will now be odor-free.